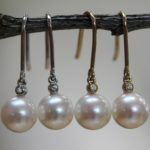 Pearls earrings as a gift? 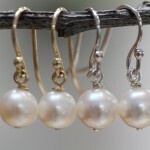 You can’t go wrong with these beautiful medium size AAA pearl drop earrings. 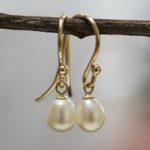 The focus here is on the quality of the pearls rather than their size. 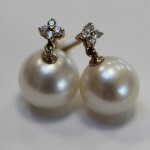 We carefully select our pearls for quality, shape, colour and lustre and these are a prime example. 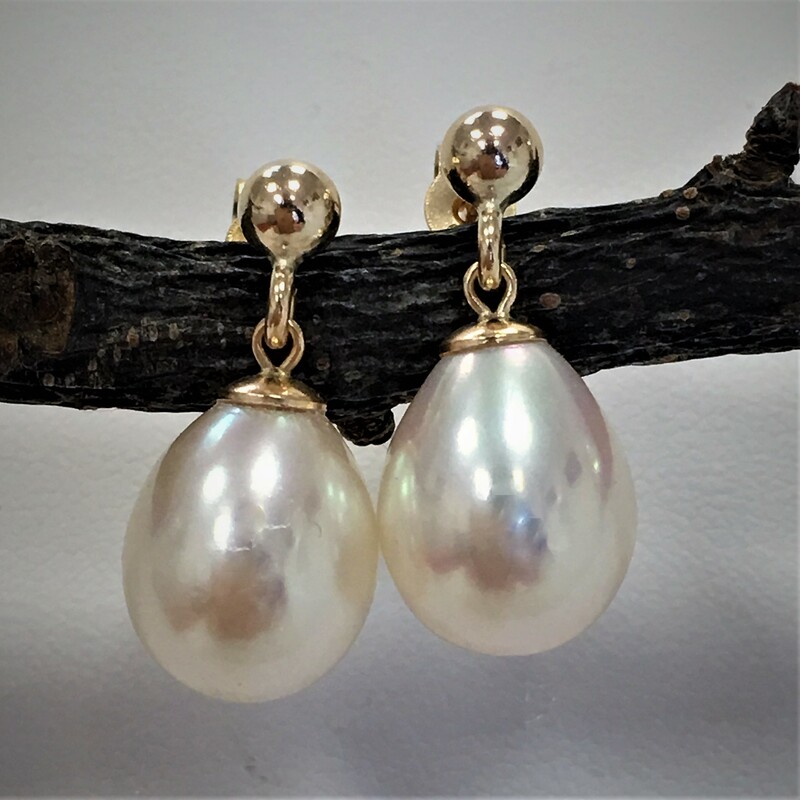 Made in our workshop using cultured freshwater pearls and either 9 ct gold or 925 silver, these pearls will be well received and loved by their owner for many years.